Photos by Nicholas Bostick | JC’s Burger House offers sandwiches, such as a patty melt topped with jalapeños and grilled onions, paired with fries. Conveniently located on Beltline Road, minutes from Brookhaven College, is a burger joint hungry students may want to take advantage of. 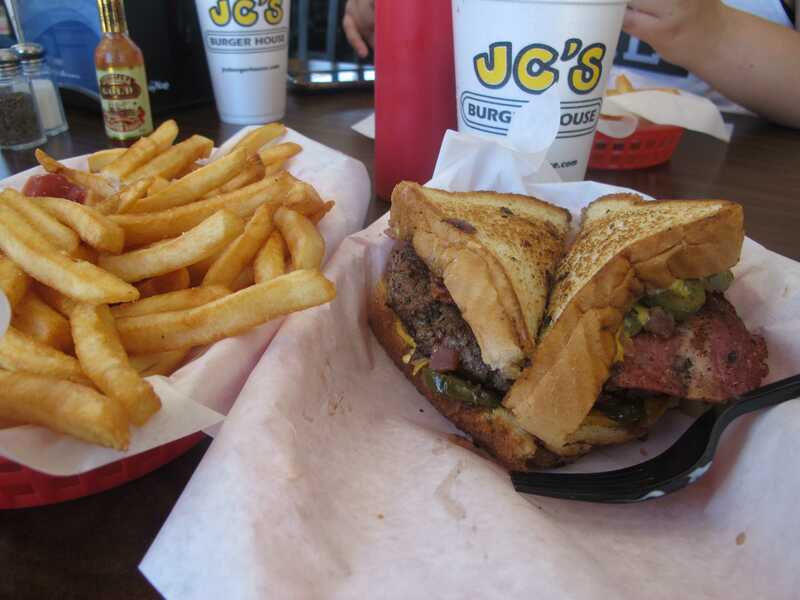 The first JC’s Burger House opened in 1999 in Plano, Texas. Jay “JC” Cockerell, founder, said he thought there was a void in the burger game, according to jcsburgerhouse.com. The website goes on to state Cockerell decided to create a genuine old-fashioned burger. Over several months, he developed a blend of secret seasonings paired with fresh USDA Choice Chuck before opening his restaurant. JC’s has everything from turkey burgers to fried catfish to vegetarian burgers. Word of mouth spread, and within six months the joint was standing room only. As demand increased, Cockerell began to freshly grind and hand-make each burger rather than purchase additional meat from a local butcher. 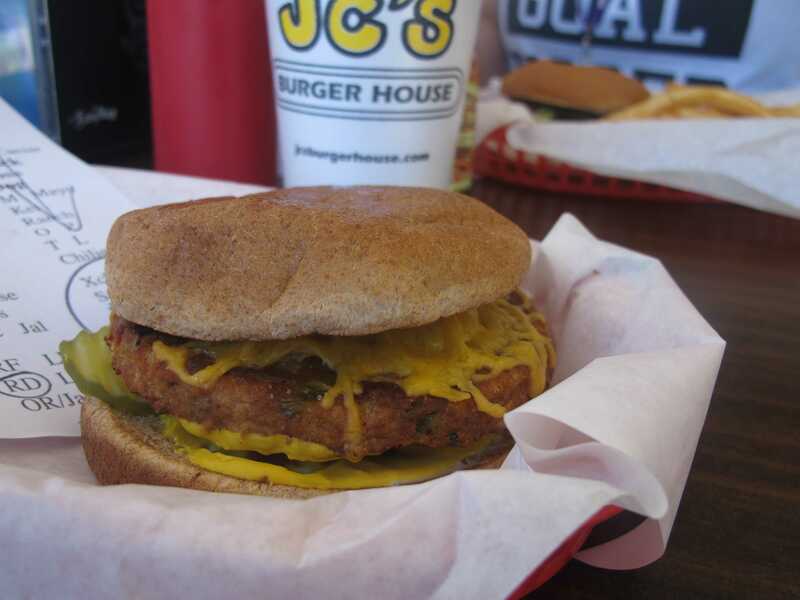 JC’s offers meatless options as well, such as the veggie burger, which can be smothered in cheese. JC’s offers a variety of sizes for their classic burgers, ranging from 4-8 ounces. Customers can choose from toppings, including mayonnaise, mustard, red onions, pickles, tomatoes and lettuce; or they can choose to go “all the way” and opt for everything. The burgers come with french fries, a customer favorite, which are cut daily. JC’s specialty burgers, such as the Toddzilla, are named according to a backstory. According to JC’s website, the name Toddzilla is a combination of Godzilla and Todd Hamilton, PGA Tour champion golfer, who is Cockerell’s friend. The chain hosts the Toddzilla Challenge, in which customers can attempt to eat the burger of the same name. The Toddzilla boasts three half-pound burger patties, three slices of cheese, lettuce, onions, tomatoes, mayonnaise and mustard. Successful finishers can have their photos displayed on the wall at the location where they complete the challenge, but either way the monstrous sandwich costs $12.99. JC’s has won many awards for its freshly made burgers over the past 10 years. They won the Star Community Readers’ Choice Award four years in a row. They also won best burger in the Plano Profile four years straight. In 2015, they were an Addison Readers’ Choice Award finalist. By far, JC’s burgers are the best I’ve ever had in my life. I give the restaurant a 5 out of 5 because of their wonderful customer service and friendly atmosphere. The burgers are fresh, and the meat just melts in your mouth. That first bite will leave you clamoring for more. JC’s offers catering and fundraisers with a 24-hour notice. Lunch deals are available 11 a.m.-3:30 p.m. daily. This entry was posted in Uncategorized by The Courier. Bookmark the permalink.